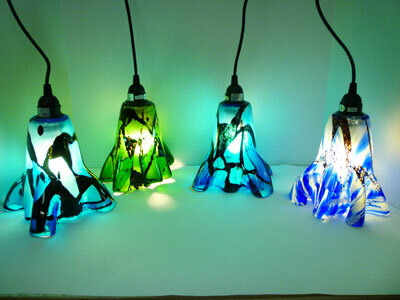 Come take this class and make a beautiful hanging pendant lampshade! Each student will start with a 11" circle and create on top of this base. Scrap and frit will be added to this. This round disk will be fused flat and then slumped over a mold to create a unique fluted vase.You may choose to have us drill a hole and add a cord set. There is an extra charge of $15 for this option. 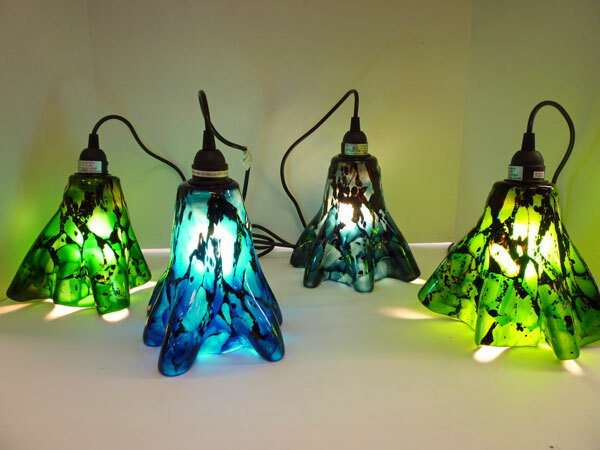 We stock a table lamp-base that will be discounted 20% to students that have taken this class. No experience necessary!